"In the practice of writing poems I find what has been waiting for me, what sheds another layer of pretense. I am uplifted, enriched, reconciled, and reminded of all that I do not know. I cast my poems to itinerant winds, unquestioning of where they might reseed in the meadow of another heart." 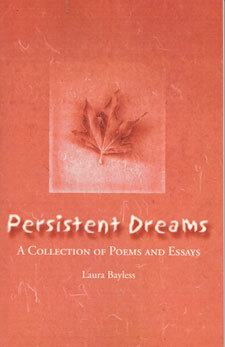 "Within her deft poetry and resonant imagery, Laura Bayless captures the spiritual, transformative essence of nature. 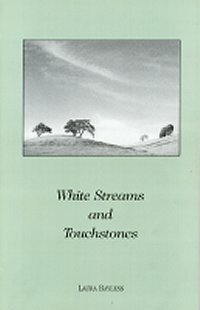 White Streams and Touchstones invites the reader to participate in a journey through the majestic terrain of forest, fern and shore where one can linger and dream, draw nourishment to sustain the soul on its winding trail home."